America: A Lie or a Vision? In this blog entry I share thoughts have been brewing in me for a while. There are some harsh words I have to say about the atrocities in our nation’s history that too often are glossed over or completely ignored. While in the end I come out on the side of hope for our nation, it is not without deep concern for the willful blindness we have to our national flaws. 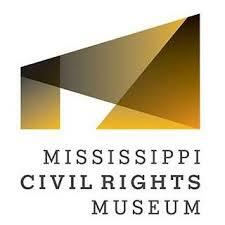 This summer on a road trip through the Southern states, my wife and I visited several museums dedicated to remembering the eras of slavery, Jim Crow and Civil Rights in U.S. history (1). We also visited a former site of a Japanese internment camp in southeastern Arkansas. And while we drove we listened to an audio version of David Gram’s Killers of the Flower Moon, the true account of 20+ murders of members of the Osage tribe in Oklahoma during the 1920’s at the hands of greedy, unscrupulous white businessmen, bankers and regular citizens. The cumulative effect of these experiences caused me to wonder if the myth of America as the land committed to freedom, equality, and justice was in fact true. At best it seemed America is a dream yet to be realized. At worst could America be a boldfaced lie? One of my favorite places in Philadelphia to take visitors is the National Constitution Center located in the city’s historic district. One’s experience at the Constitution Center begins with a 10-minute multi-media presentation centered around the words that begin the U.S. Constitution: “We the People.” Following the presentation, attendees are then directed to a museum that visualizes and explicates the ways the Constitution has been challenged and changed over the years. The overall intent of the museum is to convey that the Constitution is a living document in need of continual improvement yet seeks to embody the values of equality, freedom, justice and democracy. I have been to the museum at least ten times, and every time I have come away thinking that despite my frustrations with many of our nation’s policies and actions, I really do embrace the basic principles laid down by the framers of that foundational document. However, my trip this summer has caused me to wonder whether the Constitution ever was really intended to provide freedom, equality, and justice for all the people. Or was the Constitution intended only to serve the desires of the privileged few? What I learned and was reminded of was that the Constitution in its original form counted slaves as 3/5 of a person, regarded Native Americans as savages, and did not allow poor white people or women to vote or hold office. While non-British men with property were quickly given full access to all the nation’s rights and privileges, it took 300 years of slavery and a Civil War to free blacks from slavery, and only then because Pres. Lincoln figured that was the only way the North would win the war. Meanwhile, it took women over 130 years to gain the right to vote in national elections. Mexicans living in lands gained in the 1803 Louisiana Purchase were regarded as second class citizens and still are in many communities today. In the mid-1800’s Chinese and Japanese workers brought to the U.S. to build the railroads and work in the fields were marginalized and excluded from citizenship. Immigrant Italians, Slavs, Irish, Jews, and other European groups initially faced restrictions until they were given the right to call themselves “white” and thereby gain full acceptance. Always the control of national policies lay in the hands of the propertied and corporate elite who spoke the language of democracy, but practiced oligarchy – the rule of the few – and plutocracy – the rule of the wealthy. Today the situation is not much different. Studies repeatedly show 10% of the population controls 70% of the country’s wealth, and the wealth gap continues to grow. The poor, the immigrant, the Muslim and the person of color still strive for full access to opportunities promised 240 years ago in the Declaration of Independence. As Dr. Martin Luther King Jr. proclaimed in 1963 this situation is like receiving a check returned marked “insufficient funds.” A promise made, but not fulfilled. 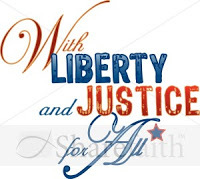 And so, I am left to wonder if the America established in 1787 is really just a bold-faced lie because 240 years is a long time for the promise of freedom, equality and justice to be realized. 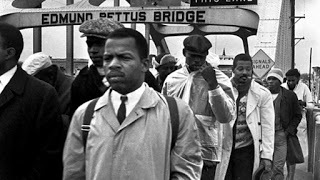 When I go to the Constitution Center I think “well maybe it’s a dream yet to be realized.” But when I went to the Mississippi Civil Rights Museum and the Equal Justice Legacy Museum, and walked the Edmund Pettis Bridge in Selma, I questioned my optimism. 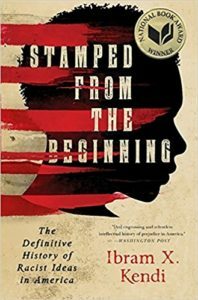 Dr. Ibram X. Kendi in Stamped from the Beginning, an exhaustive history of racist ideas in America, shows how racism has always been at the heart of the American experience. In definitive detail, he shows how there are two powerful, competing story lines running simultaneously through the history of the United States. One storyline focuses on the efforts of countless individuals and communities to abolish and overcome the scourge of racial discrimination in all dimensions of life. The competing story line is the manner in which racist ideologies and beliefs continually morph, change, and persist from the slave era to the present. While one might say that great gains have been made to overcome racism in American life, at the same time one must recognize that like a multi-headed hydra, racism and xenophobia continue to rear their ugly heads in our society in vicious and pernicious ways. On August 15 of this year, two illuminating, but unrelated events illustrated this tension. On that day in New York City, Gov. Andrew Cuomo stated: We’re not going to make America great again — it was never that great. America was never that great…We have not reached greatness. We will reach greatness when every American is fully engaged.” Clearly, the governor was responding to the President’s oft repeated promise to “Make American Great Again,” calling us back to some past era in our history where our greatness as a nation shined. News reports of the event indicated many people in the audience gasped at Cuomo’s words, and within moments Republicans “pounced” on the remarks, claiming Cuomo lacked sufficient respect for his country. Late night talk show host Stephen Colbert remarked: “That is the dumbest thing you can say as a politician.” Colbert may be right, but in my view what Gov. Cuomo did was uncover the lie of American exceptionalism. While it may be argued that the United States has achieved great wealth, power, and prosperity as a nation, what has been the cost to millions of people in countries around the world, and workers and families in this country throughout our national rise to prominence? As I listened to the proceedings and participated in the silent march that followed, I gained hope that perhaps “we the people” could win the day. 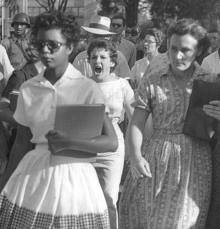 In the crowd that day were workers from all races and backgrounds whose lives had been much harder than mine. Yet these men and women, many who had suffered greatly, were still willing to believe that the vision of America outlined imperfectly in the Declaration of Independence and the Constitution could still become a reality. And so, because of them, I lean ever so slightly to the side of hope, to the side that believes that America is a vision yet to be achieved, rather than a lie to be rejected. And as long as I have that sliver of hope, I will continue to join folks like those immigrants and workers committed to force our political leaders and to convince other citizens across the nation to live up to the values and creeds we so easily proclaim, but so haltingly live out. It should be noted that the practice of separating children from the parents is nothing new in U.S. History. Families of African slaves were routinely sold to different masters and often were purposely located in distances too far for any contact. Moreover, Native American children were torn from their families and sent to residential schools in places like Carlisle, PA where the purpose to “kill the Indian” inside them. The practice of separating immigrant children from their families continues that dehumanizing practice. America is great and that’s why Clarence Thomas can rise from abject poverty and being raised by his grandparents to become a Supreme Court Justice. That’s why Condeliza Rice was able to rise to the top of our national security. Ben Carson, the renown neusurgeon and now cabinet member was raised by a single mom in a dirt poor home. You really need to expand your horizons and your reading, especially since you are teaching our youth. I appreciate these thoughts, Drick, and glad that you were able to attend the rally organized by the labor unions. I also draw hope from the organizing work that is being done. I too draw hope from people like you Drick who do what Bryan Stevenson says are the attributes of agents of transformation. We have to change the narratives that have long been held sacred, the same narrative that created slave-holder “Christianity” or as Dr. Barber identified as slave-holder religion. When we are honest we can create that new narrative that you’ve contributed to here. This is where hope can authentically begin. Thank you for your contributions. I would love to take my children on a similar/same journey you and your wife did this summer. Thank you so much for sharing your thoughts and insights.